The Mercedes EIS (Electronic Ignition Switch) system is great in theory, the hardware being the switch is like a small socket in the dash to insert your key into – only, it is not a traditional looking key. It is more like a plastic lego-brick with what looks like an infra-red panel at the face of it which is inserted into the EIS socket on the dash. 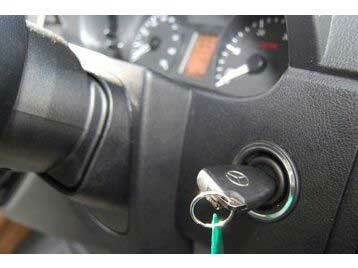 The key has a sequential code to ensure the vehicle is not stolen. The vehicle will instantaneously carry out a sequence of test handshakes to ensure the correct key has been inserted. Each time the key is inserted, the EIS system will check the key and then ask the ESL (Electronic Steering Lock) system for verification that it accepts the correct key is being used. The ESL system will then look to see if the Engine ECU (Electronic Control Unit) agrees that this is the authorised key being used. – Then and only then, when all three control units agree it is the correct authorised key being used, will it allow the “Turn & Start” function to be activated. Below we have compiled an extensive list of vehicles which we have already seen fitted with the EIS and have had units in for repairs. Don’t worry if your vehicle is not listed as this is not a complete list. All of the above can cause memory loss to the EIS module and it cannot be repaired or re-flashed using the Mercedes STAR diagnostic system. At this point, you would have been advised to purchase a new unit which can work out extremely expensive when working out the total bill with programming and labour inclusive with VAT. One of the main problems is the Motorola CPU chip which fails, even the newer batch of EIS modules have the same processor fitted so fitting a new module won’t solve the problem entirely, it’s how you look after the vehicle which plays a big part. We can remanufacture your existing EIS Module unit and save you a lot of money. We thoroughly test & repair all EIS modules to ensure we locate the faults and rectify them completely. When the unit is returned to you, you will not be required to reprogram or re-calibrate the unit – simply plug & play. After we have repaired your EIS module, you will be able to insert the key, turn the key and start the vehicle with no troubles at all. We do however recommend that you check the battery supply voltage and wiring to the EIS unit prior to installation to ensure there are no faults on the vehicle which could potentially cause failure of the replacement / repaired unit. All repaired EIS modules are returned with our full Lifetime warranty. What if it is my ESL or Key that’s faulty – What should I do? We always recommend sending all three parts to us so that we can independently test the units and also test them in circuit alongside each other. We can remanufacture all three parts if required and any repaired units are returned with a Lifetime warranty for complete peace of mind. Will Mercedes EIS programming be required? No – we backup all the programming data before remanufacturing the units. Our remanufactured units are returned fully plug & play and will self-calibrate when fitted back to the vehicle. Can you offer a Mercedes EIS replacement? Certainly – if your unit is for any reason beyond repair, we can offer a replacement unit and program it on our bench so that no further coding is required when fitting to the vehicle. I’ve been told my model of Mercedes does not have an ESL? Not all Models are fitted with an ESL, some models are controlled through the auto gearbox system and in such cases we will only require the EIS and ignition Key. Do you have a Mercedes EIS removal guide? No – we do not offer any removal / fitting instructions and always recommend that the removal and fitting is carried out by a competent technician. Checkout our list of the most common part numbers below. Don’t worry if your part number is not listed, this is not a complete list and there are many more we have seen and successfully repaired. For more information, please call us on 0844 847 9999 or alternatively, send us an email. Tags : 2095451908, 2105450008, 2105450208Q5, 2115451008, 2155450208, 2155450808, 3300.0201, 3300.0301, 3300.1109, 3300.22.05, 3300.2301, 6395450108, 6395450508, Mercedes W203 EIS Module Faults - Car Won't Start, Mercedes W203 EIS Module Repairs, Mercedes W208 EIS Module Faults - Car Won't Start, Mercedes W208 EIS Module Repairs, Mercedes W209 EIS Module Faults - Car Won't Start, Mercedes W209 EIS Module Repairs, Mercedes W210 EIS Module Faults - Car Won't Start, Mercedes W210 EIS Module Repairs, Mercedes W211 EIS Module Faults - Car Won't Start, Mercedes W211 EIS Module Repairs, Mercedes W215 EIS Module Faults - Car Won't Start, Mercedes W215 EIS Module Repairs, Mercedes W219 EIS Module Faults - Car Won't Start, Mercedes W219 EIS Module Repairs, Mercedes W220 EIS Module Faults - Car Won't Start, Mercedes W220 EIS Module Repairs, Mercedes W230 EIS Module Faults - Car Won't Start, Mercedes W230 EIS Module Repairs. Hi there, I have an A class (w176) 2013 with an EIS issue. Insert the ignition key, Cab turn it all the way but nothing happens, no lights on dashboard, no starter noise. Could you advise on estimate for repair? What parts need to be sent? Hi can my mercede cclas w203 ignition be repaired? 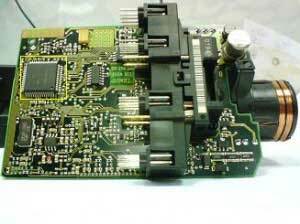 We do test & repair the W203 Mercedes EIS units. I have sent you an email with full information and pricing. Hi, have suspected fault eis module 2012 c class, could you tell me price to test/repair? I have sent you an email with full information and pricing to test & repair the EIS module on your 2012 Mercedes C-Class. If you have any questions, please reply to the email and we’ll be happy to assist you. Je vous ai envoyé un email avec toutes les informations et les prix. 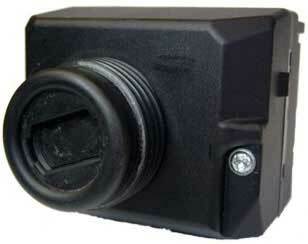 Can i have a price for repairing a ignition switch module for my mercedes. This is drawing power while car isnt running, causing my battery fot go Flat. My Part Number is 209 545 05 08. The constant power draw issue is quite a common fault and we’ve successfully repaired 100s of units with this type of fault. I have sent you an email with full information and pricing. We can test for this type of problem on our test rig so if the unit is faulty, we’ll be able to isolate it on the rig and find the root cause before proceeding to remanufacture the unit. I have sent you an email with full information and pricing. If you have any questions, please reply to the email and we’ll be happy to assist you.